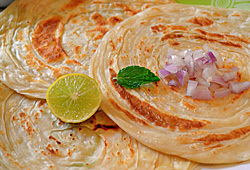 Everybody loves paranthas but who has the time to make them? 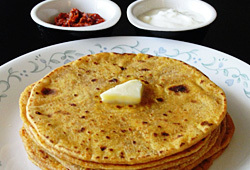 Our kitchen offers ready to eat delicious homemade style paranthas. You can pick from the soft yet crispy Plain Parantha, our favourite Aloo Parantha and the multi layered Laccha Parantha. Simply spread a blob of butter on top and eat with chutney, or pickles and yogurt, or with meat or vegetable curries. 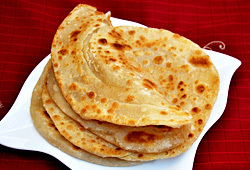 Or as some do, try rolling the paratha into a tube and eat it with tea, often dipping it into the tea. 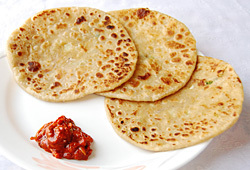 We bet our paranthas will bring on some nostalgia! My mouth is watering, is yours too?